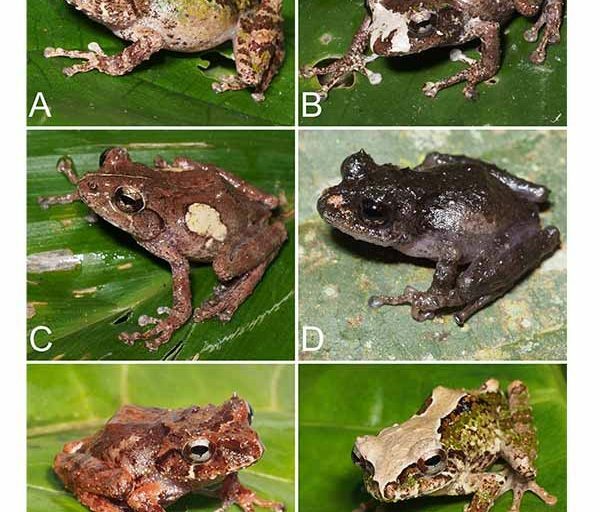 Scientists discovered four new species of toads who, unlike their cousins, live isolated in the highlands of Sumatra. The four toads are distinguishable from one another by their skin patterns, limb shapes and voices. In the wake of the discovery, one of the researchers called on the Indonesian government to strengthen the monitoring of harvesting quotas for toad exports so that scientists can keep track of its population in the wild. BOGOR, Indonesia — Scientists described four new toads from the hills of Sumatra, adding to the island’s already astounding biodiversity. 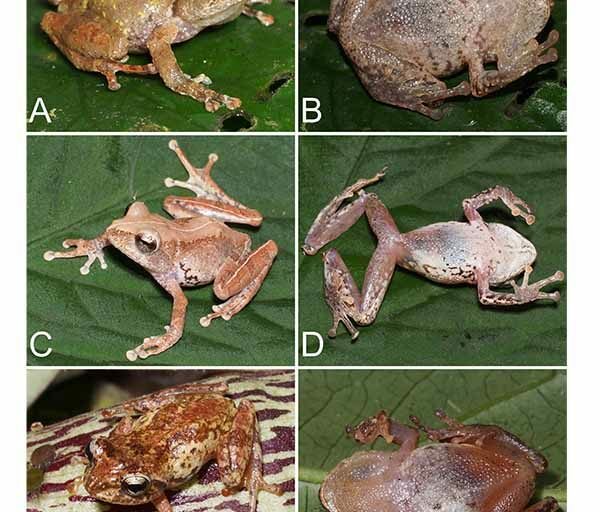 The discoveries mark the first Sumatran additions to the Philautus genus of shrub frogs since the early 20th century. Several were described in the Western Ghats of India in 2009. The researchers published their findings in Herpetological Monographs last month. They hail from the University of Brawijaya in Indonesia, and the University of Texas at Arlington and Broward College in the U.S. 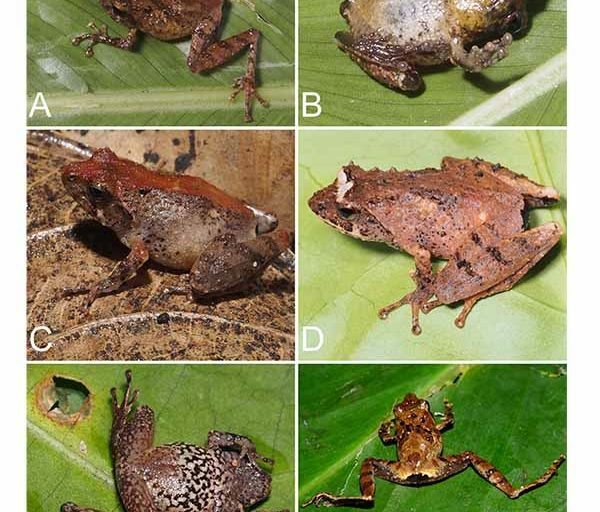 Specimens of the newly described species — Philautus amabilis, Philautus polymorphus, Philautus thamyridion and Philautus ventrimaculatus — were collected from 2013 to 2015 in jungles over 1,000 meters above sea level. As in the rest of Indonesia, the forests of Sumatra are full of unknown creatures, but are rapidly dwindling as industry expands, especially in the agriculture and mining sectors. Globally, scientists believe that more than 80 percent of species remain undiscovered. Maps showing the distribution of the Sumatran Philautus genus. Image courtesy of Herpetological Monographs. The four toads differ from one another in their skin patterns, limb shapes and voices. The last name of Philautus amabilis derives from a Latin word meaning “charming” or “pretty.” For the scientists, this defines the toad’s bright brown back and the dark lines that appear on its arms, thighs, hind legs and outer fingers. The name Philautus polymorphus was inspired by its variety of colors and patterns, but the animal is recognizable by the cone-shaped bumps on its eyelids. Philautus amabilis. Image courtesy of Herpetological Monographs. Philautus polymorphus. Image courtesy of Herpetological Monographs. Philautus ventrimaculatus. Image courtesy of Herpetological Monographs. Philautus thamyridion. Image courtesy of Herpetological Monographs. Philautus thamyridion was named after Thamyris, a character in Greek mythology known for his ability to sing. It has the loudest croak among the four toads. Philautus ventrimaculatus’ name comes from the green and brown spots on its abdomen. 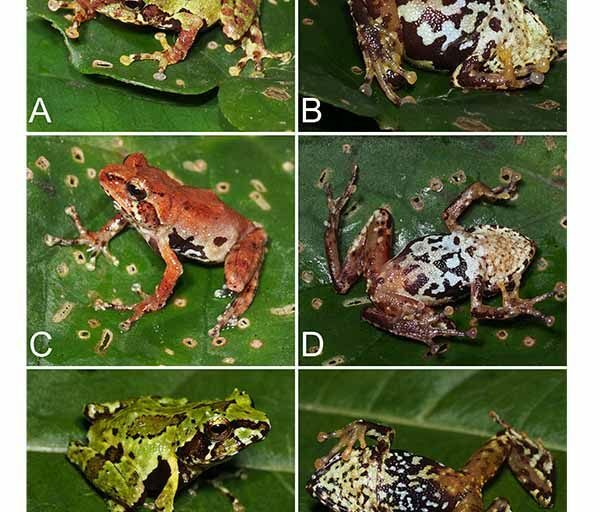 The toads are threatened by habitat loss and overexploitation, said Amir Hamidy, a herpetologist from the Indonesian Institute of Sciences (LIPI) who co-authored the paper describing the toads. Indonesia is currently the largest exporter of toads for food, he said, with 4,000 tons of the animal annually shipped overseas. “The rate of species extinction is much faster than the rate of species discoveries in Sumatran jungles,” said Hamidi, who previously took part in the discovery of two new reptiles in Sumatra. In 2012, Sumatra contributed nearly half of Indonesia’s primary forest loss of 840,000 hectares (3,243 square miles) — now greater than that of Brazil, previously the world’s highest. Another report estimated that Sumatra lost 7.5 million hectares of forest between 1990 and 2010, mostly due to logging. Hamidy called on the Indonesian government to strengthen oversight of harvest quotas for toad exports so that scientists can keep track of their population in the wild. 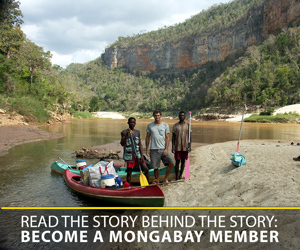 “My hope is for Indonesian people to understand the role of toads in our ecosystem,” he said.